In January 2017 the Russian Justice Initiative (RJI) submitted the results of its study Female Genital Mutilation of Girls in Dagestan1Female Genital Mutilation of Girls in Dagestan. Report based on the results of a qualitative study. http://www.srji.org/upload/iblock/430/fgm_dagestan_august_2016_eng_final.pdf, detailing female genital mutilation (FGM) practices in the Republic of Dagestan to the prosecutor’s office in the republic. The latter had requested personal information of all persons referred to in the report, alleging that the first investigation of the matter had proved nothing. Sergei Beliakov, first Deputy Prosecutor in the region, told the RJI that in order for the prosecutor’s office to be able to conduct an investigation the authors of the report needed to provide the authorities with specific details of the actual instances of FGM discussed in the report. This included personal information of those involved in carrying out these surgeries, the victims, and the experts who conducted the surveys. His fax stipulated that “failure to comply with the prosecutor’s demands that stem from his legal power is punishable by law”, and that the prosecutor’s office had a legal right “to access information necessary to conduct a prosecutorial oversight”. In response, the authors of the report explained that they used qualitative methods in collecting data for their research project and that those surveyed had answered the questions of the questionnaire (prepared in advance) in no particular format and on condition of complete anonymity. That is why their personal data had not been processed. At the same time, the authors of the report provided the prosecutor’s office with 42 transcripts of anonymous interviews collected for the purposes of research and analysis, of which 25 were the questionnaires of Dagestani women who had undergone a form of genital cutting, and 17 more had been completed by experts. As of today, the Russian Justice Initiative has not yet received an official response from the prosecutor’s office. However, according to the state-owned media, the research materials submitted by the RJI are currently being studied. “The findings [documented in the RJI report] will be thoroughly examined. Final conclusions will be drawn after the study of the research materials,” the spokesperson for the Republic’s prosecutor’s office told Rossiyskaya Gazeta2Timur Aliyev, “Dagestan’s prosecutor’s office to examine reports on female genital cutting” in Rossiyskaya Gazeta, 17 January 2017, https://rg.ru/2017/01/17/reg-skfo/prokuratura-dagestana-poluchila-novye-fakty-o-zhenskom-obrezanii.html. Published in August 2016, the report Female Genital Mutilation of Girls in Dagestan and underlying study triggered a discussion of “female circumcision” for the first time in Russian society. Female genital mutilation practices formerly associated with Africa, the Middle East and Indonesia, were found to be quite common in Russia’s North Caucasus. With its report, the Russian Justice Initiative (RJI), which had conducted the research, became widely known beyond the human rights community. The RJI has been active in the North Caucasus since 2001, when a group of activists at Human Rights Watch thought of establishing a separate NGO to offer legal assistance to victims of the war in Chechnya. Initially, there were two organisations: Stitching Chechnya Justice Initiative, based in the Netherlands with an office in Moscow, and Pravovaia Initsiativa, based in Ingushetia. In December 2004, the two were merged to form the Russian Justice Initiative. “Expanding our geographic outreach has been a gradual effort. We found at some point that we could no longer limit ourselves to Chechnya, as we began to receive requests for assistance from displaced persons in Ingushetia affected by the Chechen war,” explains Vanessa Kogan, Executive Director of RJI “In 2005, we began to take up cases from Kabardino-Balkaria and other republics of the North Caucasus – in particular, from Dagestan, and since 2008, after the conflict in South Ossetia, also from the South Caucasus.” Olga Gnezdilova, RJI Legal Director, adds: “Today, we are helping people in all sorts of cases related to the ATO regime in the North Caucasus. 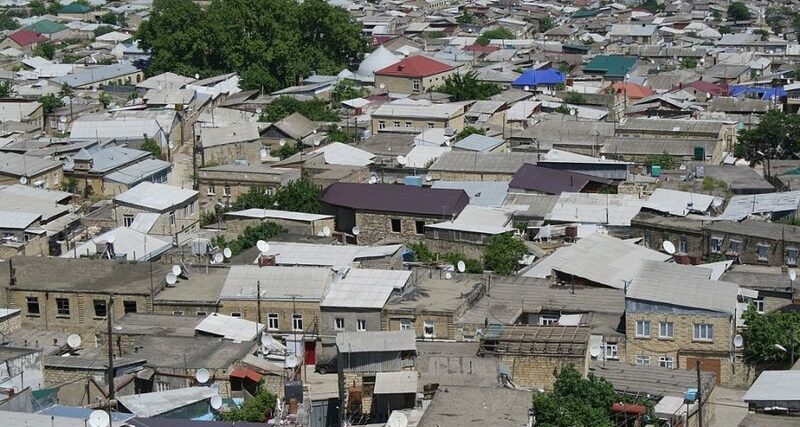 It is not necessary for the individual to be geographically located in the Caucasus – they can be in any region, but RJI’s traditional mandate addresses human rights violations committed in the North Caucasus.” . The organisation’s specific focus is on representing victims of human rights violations in the European Court of Human Rights (ECtHR, Court). During the 15 years since the NGO was established, its lawyers have filed 354 applications, resulting in the Court’s 140 judgements in 184 cases. A total of 913 applicants had their claims satisfied by the Court, and the amount of funds awarded totalled 14,183,000 euro in respect of non-pecuniary damages and 2,289,000 euro in respect of costs and expenses. In one of RJI’s most prominent cases Bazorkina v. Russia3See the facts and judgement in Bazorkina v. Russia at http://www.srji.org/legal/bazorkina concerning the disappearance of 25-year-old Khadzhi-Murat Yandiyev, the Court issued a judgement in July 2006, stating for the first time that the Russian authorities were accountable for the young man’s disappearance. Eventually, thanks to RJI’s efforts, the Court found the authorities’ failure to investigate disappearances in Chechnya to be a systemic issue in Russia, which the Court addressed in 2012 in its landmark “pilot” judgement in Aslakhanova and Others v. Russia4Aslakhanova and others v. Russia (Russian translation), Russian Justice Initiative, http://www.srji.org/resources/search/184/?sphrase_id=229893. In January 2007 for the first time, the ECtHR found the Russian authorities responsible for torture in Chechnya5The European Court condemns Russia in the first torture case from Chechnya, Russian Justice Initiative, http://www.srji.org/news/2007/01/25/ in another case brought by RJI on behalf of brothers Adam and Arbi Chitayev who were tortured in Chernokozovo detention prison (SIZO) in 2000. Today, demanding justice in cases of torture and ill-treatment remains the organisation’s priority. As many as 150 of the Court’s 200-plus judgements issued since the mid-2005 on applications brought by RJI lawyers concern enforced disappearances in Chechnya between 1999 and 2006. These also include the Aslakhanova case which combines five applications filed by different lawyers between 2006 and 2010 concerning the disappearances of eight men in Grozny and its surrounding area in 2002 to 2004. In its judgement, the ECtHR urged Russia to provide “a comprehensive strategy” to remove the key obstacles to effective implementation of the Court’s judgements in these cases, namely obstacles such as suspension of efforts aimed at location and exhumation of the remains, destruction of archives and impending expiration of the statutes of limitation. Since 2015, lawyer Yulia Antonova has coordinated RJI’s work to prevent violence against women and defend human rights in the North Caucasus. Jointly with Saida Siradzhudinova, president of the Caucasus. Peace. Development NGO, Antonova authored the report Female Genital Mutilation of Girls in Dagestan. “Our respondents’ attitude towards female genital mutilation as a tradition which you are not supposed to discuss hindered our research; thus, some of our attempts to interview women were unsuccessful,” says Yulia Antonova. “Nevertheless, our findings revealed that of the 25 local women whom we interviewed, all had undergone this operation. We have also learned that this practice is common in certain mountainous areas and in communities of people who have resettled to the plains in Dagestan; it is particularly widespread in eastern Dagestan.” In addition to this, Antonova prepared and published the report Violence against Women in Russia: A Legal Analysis to raise awareness of the problem and push for the adoption of a comprehensive law to help prevent and address domestic violence.